FLORALS. 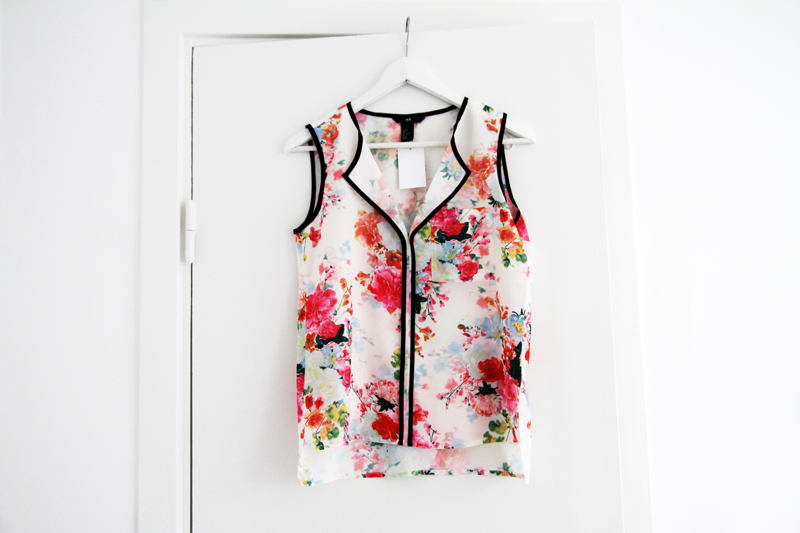 Stumbled upon this gorgeous top at H&M today and being a floral print addict, I obviously had to buy it. Keeping my fingers crossed for some sunshine tomorrow, I have the perfect outfit in mind for this baby! This entry was posted in Details and tagged flower top, H&M floral top by Carolina Engman. Bookmark the permalink. oh i love it! have to go back to H&M again! Gorgeous! Perfect combination of a cute floral print and cool black lines! omg i am in love. its gorgeous! The black piping detail looks really nice against that print. The floral design is so vibrant, I love that stark contrast. Fabulous top!!! Really beautiful florals! Such a cute top! Love it. oh wow,it is soo pretty!!! It is absolutely amazing ! Gorgeus!! Could not believe it´s from H&M. Loving it! Until I see it, I imagine so many outfit! Maybe with a white jumpsuit ?! I love it! I was surprised when I saw it’s from H&M. It looks very chic and girly! Hope to find it! Love the soft and fuzzy motifs. I love this top! If only I had an H&M as close to home as you do! Thanks to your post I’m running to H&M tomorrow to go get it! ahahah! It’s soooo beautiful! This top is so cute! I love the cut. The floral pattern makes it girly but the black outline gives it an edge. This is just so beautiful, I love this shirt so much. Its so pretty and fresh. I wish there was a H&M nearby unfortunately there isn’t unless i am willing to drive to another state. Lovely floral print, I’m sure it will look gorgeous styled! absolutely obsessed with this.. uber classy! Love it! I could see myself in this already. Thanks for sharing! Gorgeous, love the black sides of it! Sooo pretty! I wonder why I never find such pretty things at H&M. i can see how well this top suits you! Very nice and colorful. Perfect for summer. Beautiful top. Great print and design! I have to go to H&M soon! Can’t wait for the full outfit! Awesome top!! So cute and perfect for summer. I love the black trim. Beautiful summer top! Can’t wait to see how you style it! H & M is doing very well in floral fashion. I’m a singer with turquoise highlights in my hair. A student at Smith College. A lover of Ireland. Someone who is always looking for simplicity & happiness. I’d love to invite you all to visit my blog. I’m currently in Paris, and I’ve been doing some traveling around Europe. I’d love to share my travels with you all! I do some fashion posts, some lifestyle posts, some recipes… It’s a work in progress, but it’s all done with love. Super pretty… I really need a trip to H&M! Dammit how did I miss this?? Amazing top. I love it. OMG! absolutely love it! I hope they sell it in Spain too! i just bought this top today! L.O.V.E. it. you always find the most amazing stuff h&m has to offer.